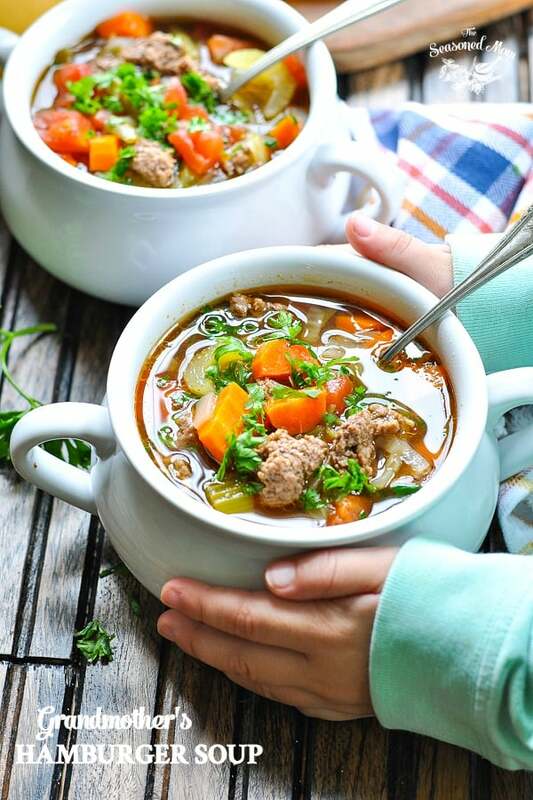 This simple, healthy, and easy Hamburger Soup is pure comfort in a bowl, and it has stood the test of time for generations! Best of all, the one pot meal can be made on the stovetop or in the slow cooker for a simple weeknight dinner! My Great Aunt Bee has helped to carry on my grandmother’s memory by sharing with me some of the recipes that they enjoyed together. 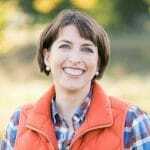 This Hamburger Soup recipe is probably the one dish that Aunt Bee has talked about the most, and she has continued to make it (along with her friends and family) long since my grandmother passed away. That’s what’s so great about these classic recipes. They connect generations, foster memories, and help us all recapture a bit of the past every time we make them. As I was standing in my kitchen chopping the vegetables for this soup, Spence was happily crawling around at my feet and the older boys were outside in the yard doing “jobs” with their dad. All that I could think about was my grandmother and Aunt Bee, hanging out together in the kitchen, and doing the same exact thing. Chopping veggies, kids playing nearby, and the aroma of sautéed beef and onion wafting through the house. Some things change, but many others do not! 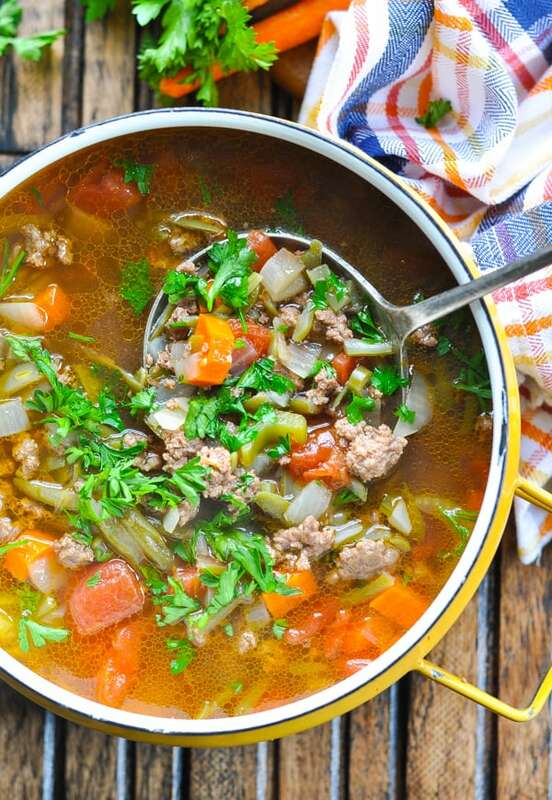 How do you make homemade Hamburger Soup? 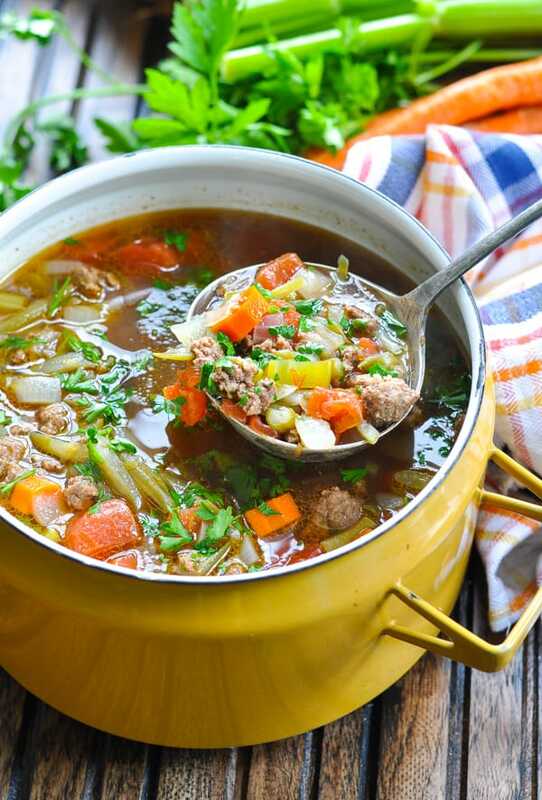 I’m going to show you how to make homemade Hamburger Soup in exactly the same way as my grandmother used to make it. These stovetop instructions come directly from the handwritten recipe card that Aunt Bee mailed me many years ago, so let’s get right to it! First, brown ground hamburger meat and chopped onion in a big pot. Drain the fat from the pot, and then add the vegetables: carrots, celery, canned diced tomatoes, green beans, and a bay leaf. 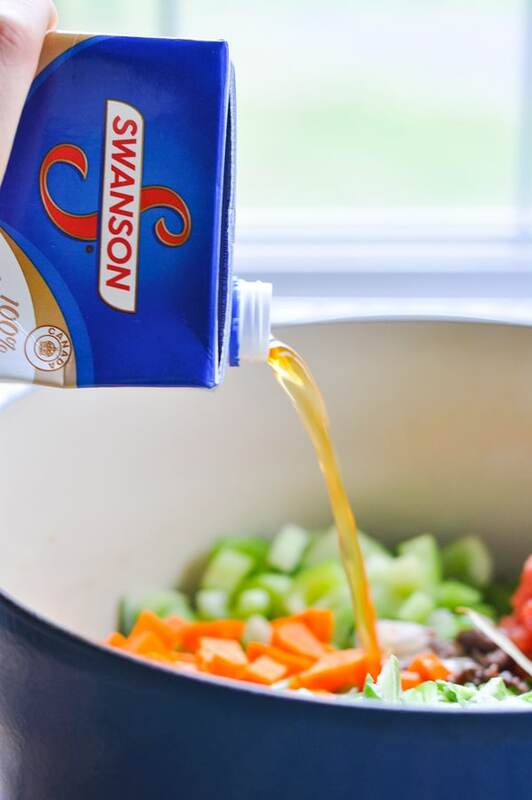 Pour in beef broth and water, bring to boil, reduce the heat to low, and simmer for about 20-30 minutes (or until the vegetables are tender). Season with salt and pepper, to taste, and your warm, cozy bowl of soup is ready! So simple, right?! Okay, so here’s where I differ from my grandmother. The stovetop method that I explained above it obviously very straightforward and not too time consuming. Sometimes, however, you just want to dump everything in your slow cooker and come home to a warm meal that’s ready and waiting! Enter…the Crock Pot. You can make the Hamburger Soup in the slow cooker by following the same basic steps. First, brown the beef and onion in a skillet. Drain, and transfer to a slow cooker. Add the remaining ingredients, cover, and cook on LOW for 6-8 hours or on HIGH for 2-3 hours. 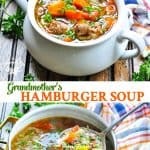 What can I put in Hamburger Soup? 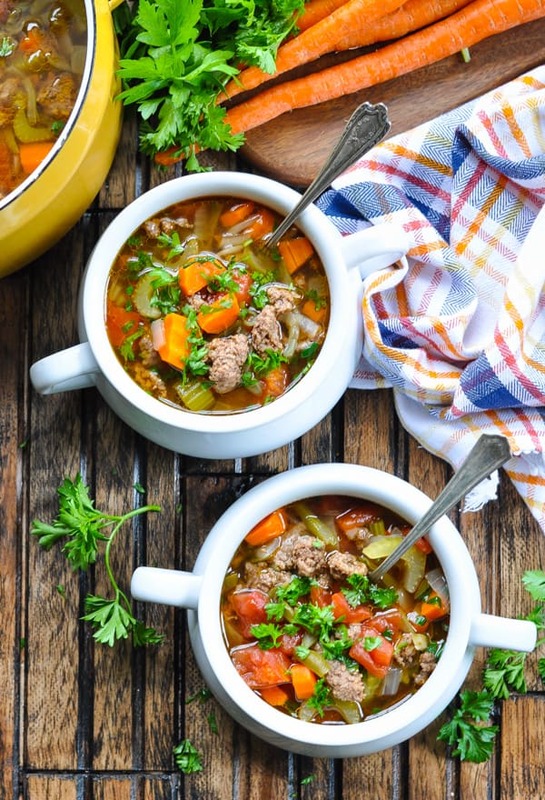 Hamburger Soup with Cabbage: this is one option that my grandmother actually used regularly. You can see my Slow Cooker Cabbage Soup recipe here, which is really just a modified version of this soup. Hamburger Soup with Noodles or Pasta: for a heartier, more filling soup, try stirring in cooked egg noodles or a short pasta of your choice — like rotini or elbow macaroni. 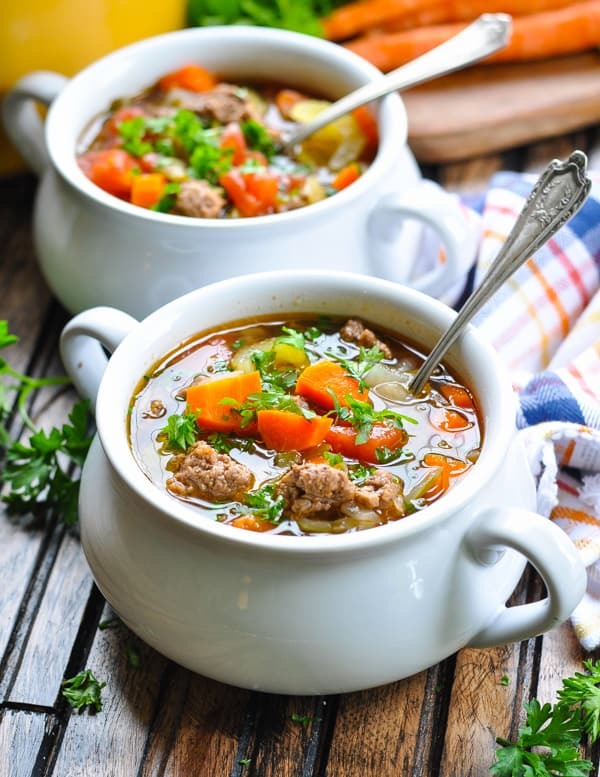 Hamburger Soup with Rice or Hamburger Soup with Barley: both of these short grains make a nice addition to the soup as well! Potatoes or turnips are another nice add-in, which my grandmother used regularly. Try adding more of your favorite seasonings, such as garlic, turmeric, chili powder, or even a dash of curry powder. Fresh herbs! You will notice that I have included a bit of fresh parsley in these photos, which is definitely not an accident. My memory of my grandmother’s food is that it was always garnished with fresh parsley, which adds a delicious bright flavor (and color) to the meal! I will continue to share this recipe with my own loved ones, in the hopes that it continues to stand the test of time. 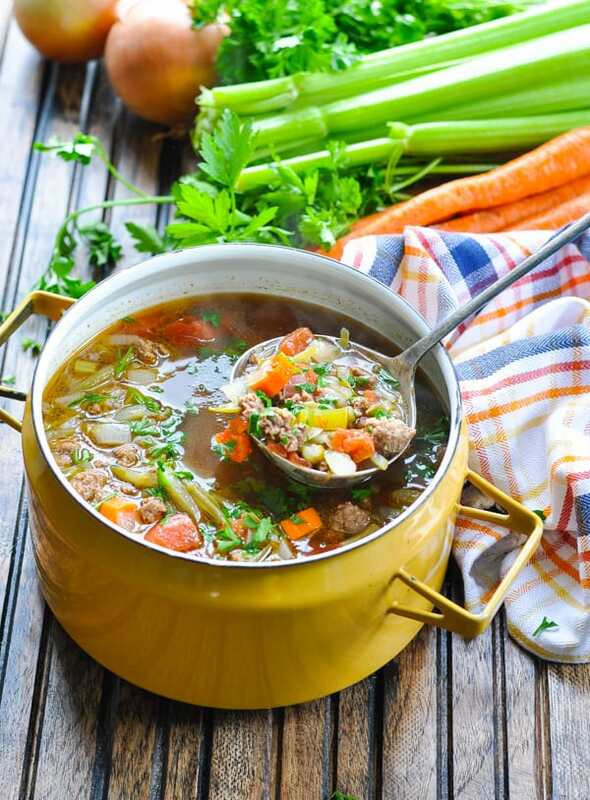 Hamburger Soup is a healthy, gluten-free option to happily feed a crowd! Brown the hamburger and onion in a large pot over medium-high heat. Drain, and return to pot. Add carrots, celery, tomatoes, green beans, broth, water, and bay leaf, and bring to a boil. 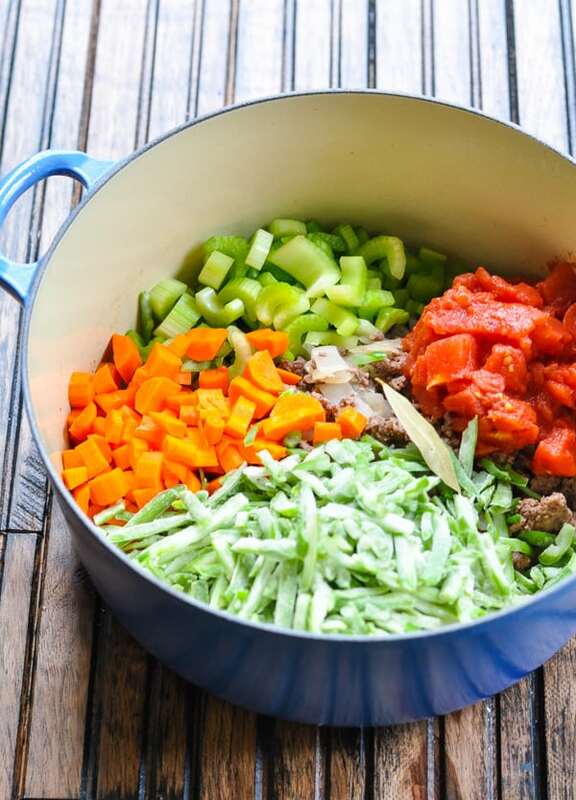 Reduce heat to LOW and simmer (uncovered) until vegetables are tender (approximately 20-30 minutes). Season with salt and pepper, to taste. Remove bay leaf before serving. 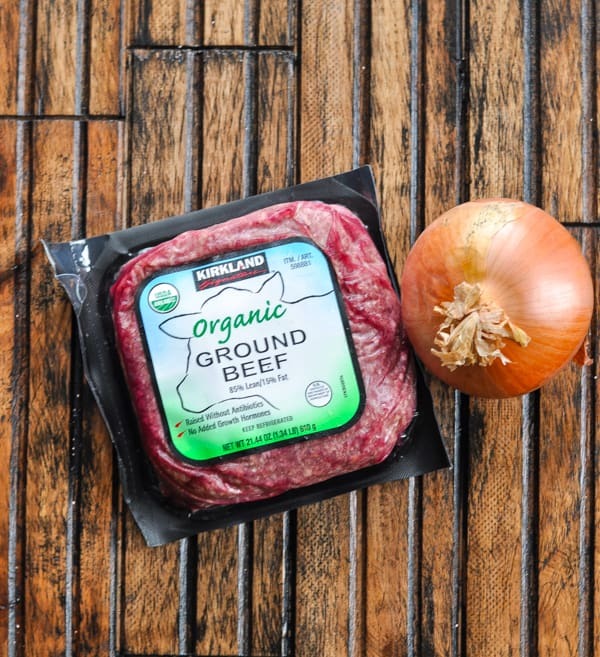 First, brown the beef and onion in a skillet. Drain, and transfer to a slow cooker. 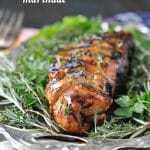 Add the remaining ingredients, cover, and cook on LOW for 6-8 hours or on HIGH for 2-3 hours. Hamburger Soup with Noodles or Pasta: for a heartier, more filling soup, try stirring in cooked egg noodles or a short pasta of your choice -- like rotini or elbow macaroni. 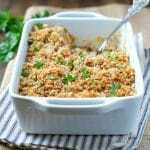 Hamburger Soup with Rice or Hamburger Soup with Barley: both of these short grains make a nice addition to the soup as well! Cook the rice or barley before adding it to the pot at the end. Fresh herbs! They add a delicious bright flavor (and color) to the meal! This post was originally published in November, 2014. It was updated in December, 2018. 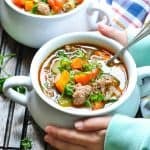 I love soup, and this one looks so delicious! I love that it’s really cozy and comforting, but healthy too! It’s wonderful that have you have someone like Aunt Bee to keep memories of your grandmother alive and to share those things together! 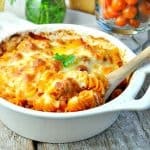 This looks incredibly comforting, delicious and packed full of flavours! Your version sounds delicious, too!!! Total comfort food, right?! 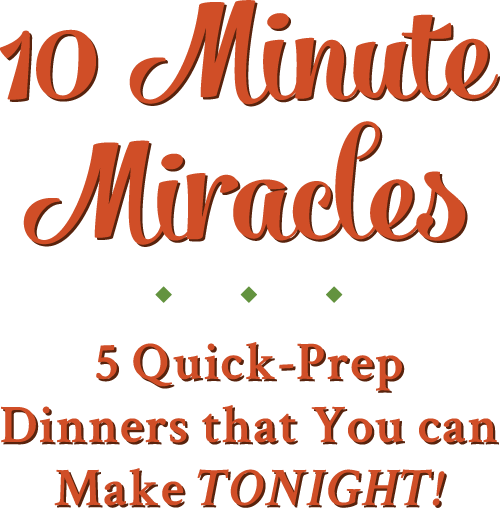 I’m a brand new cook (like making ramen was the extent of my skills a month ago), and your simple, affordable meals and easy to understand directions are a life-saver. I was thinking that beans actually sound good to add to this stew (would they be???) and if I got a normal can of black/white beans at the store, how/when would I incorporate them into the meal? Would I drain and rinse them first? 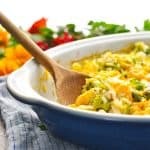 Also, I love these one-pot kind of meals, could you possibly post more of them/link a few of them if you get a chance to respond please? Thank you! Hi, Alyssa! Congrats on learning to cook — you should be really proud of yourself for making the effort, and it will just continue to get easier! Beans would be a great addition to this soup (any kind that you like is fine). Definitely drain and rinse them first. You can go ahead and add them to the pot at the same time as the carrots, celery, tomatoes, etc. Yay! I’m so glad that you enjoyed it, Leslie! Your additions sound perfect! I’m curious about why you say to drain the tomatoes. I’m making it now. I thought there would be nutrients in the juice and would just add less water.